What could gutters and my kids have to do with each other? We thought you would never ask! With just a few lengths of gutter your kids and you can have an afternoon of outdoor FUN! Looking for a fun way to pass an afternoon with the little ones? How about your very own sailboat races or a rubber ducky races? It is easy to create your own raceway! 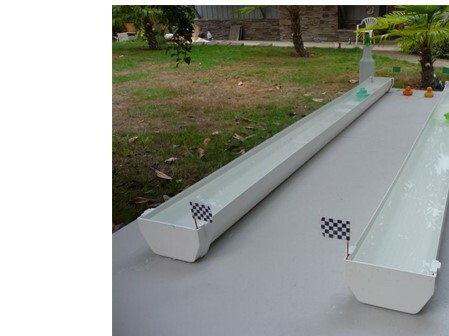 Have the gutters cut the same length, add any decals or decorations, add water, and you’re ready for the race! If that was not challenging enough for you, you can add another level of fun to your raceway! Who does not LOVE spray paint?! Spray paint your gutter lanes with vibrant colors or theme it around the America’s Cup! What better way to pass a Sunday afternoon or evening by dropping a line and catching “the BIG ONE”! Make your own backyard fun by creating a “gutter river” to drop a line and see what you can catch! Cut the gutter any length you would like and make a pond or two that can be stocked with different “types” of fish. Use your imagination…the fish can be metal hook-less lures. 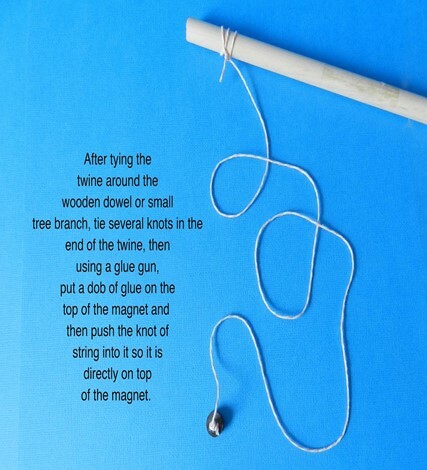 The fishing pools can be a stick, a string, and a magnet. No need to put a worm on that hook! Save that for the BIG waters! A few drops of food coloring can give the pond a more bluish/greenish look and make catching the trophy fish more of a challenge! You can set the rules: fastest time to catch a fish, the most fish caught in 2 minutes, hide a “Trophy Fish” or the biggest fish of the day. Catch and release all day long! When you are done fishing for the day simply empty the gutters and store away for use another time. A Giant Gutter Ice Cream Sundae! Keep your eye on the prize! Who would have thought about using gutters as serving dishes? We don’t mean a six foot sundae…but that would be delicious! Cut some new gutters into fun serving sizes that many family members can enjoy sharing with each other. 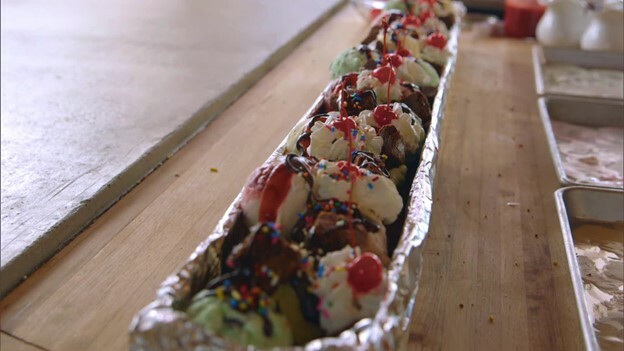 All you have to do is clean the gutter out and line it with foil, plastic wrap, and make your sundaes!Get the kids involved in the decorating with sprinkles, syrup and whipping cream! Now get your camera out and post a photo of those “gutterific” sticky smiling faces!